Shopping for a pre-owned vehicle on a budget is easy at Manchester City Nissan in Manchester. Our inventory of used vehicles under $10,000 includes quality, reliable cars, trucks, and SUVs like the used Nissan Rogue and Nissan Sentra. #1 FACTORY CERTIFIED NISSAN DEALER IN NEW ENGLAND! LOCAL TRADE, Versa 1.6 S, 4D Sedan, 1.6L I4 DOHC 16V, 4-Speed Automatic, FWD, Black. Our Sales, Service and Parts Departments work closely together to provide you with the most enjoyable, least stressful car-buying experience possible. The average tenure for our sales people, managers, technicians and all other employees is over 20 years. Most of them have been career employees of Manchester City Nissan - and with that much experience, you can be sure they'll provide you with the highest quality care for you and your vehicle. We are also proud to be a Better Business Bureau Accredited Business with an A+ rating. Clean CARFAX. CARFAX One-Owner. Priced below KBB Fair Purchase Price! CLEAN CARFAX/NO ACCIDENTS REPORTED, ONE OWNER, LOCAL TRADE, Altima 2.5 S, 4D Sedan, 2.5L 4-Cylinder SMPI DOHC, CVT with Xtronic, FWD, Super Black, Charcoal w/Cloth Seat Trim. Odometer is 2127 miles below market average! LARGEST NEW AND USED INVENTORY IN CONNECTICUT! BLUETOOTH/HANDS FREE/CELL PHONE, Sentra 2.0 SR, 4D Sedan, 2.0L 4-Cylinder DOHC 16V, CVT with Xtronic, FWD, Super Black, Beige w/Suede Cloth Seat Trim, ABS brakes, Illuminated entry, Low tire pressure warning, Remote keyless entry. Odometer is 31335 miles below market average! LARGEST NEW AND USED INVENTORY IN CONNECTICUT! Clean CARFAX. CLEAN CARFAX/NO ACCIDENTS REPORTED, REMAINDER OF FACTORY WARRANTY, NISSAN FACTORY CERTIFIED, Sentra S, 4D Sedan, 1.8L 4-Cylinder DOHC 16V, CVT with Xtronic, FWD, Graphite Blue, Beige w/Cloth. Odometer is 42061 miles below market average! LARGEST NEW AND USED INVENTORY IN CONNECTICUT! #1 FACTORY CERTIFIED NISSAN DEALER IN NEW ENGLAND! Certified. Nissan Certified Pre-Owned Details: * Transferable Warranty (between private parties) * Warranty Deductible: $50 * Includes Car Rental and Trip Interruption Reimbursement * Limited Warranty: 84 Month/100,000 Mile (whichever comes first) from original in-service date * 167 Point Inspection * Roadside Assistance * Vehicle History Clean CARFAX. CARFAX One-Owner. Priced below KBB Fair Purchase Price! CLEAN CARFAX/NO ACCIDENTS REPORTED, ONE OWNER, BLUETOOTH/HANDS FREE/CELL PHONE, Versa 1.6 SV CERTIFIED, 4D Sedan, 1.6L I4 DOHC 16V, CVT with Xtronic, FWD, Fresh Powder, Charcoal w/Cloth Seat Trim. Our Sales, Service and Parts Departments work closely together to provide you with the most enjoyable, least stressful car-buying experience possible. The average tenure for our sales people, managers, technicians and all other employees is over 20 years. Most of them have been career employees of Manchester City Nissan - and with that much experience, you can be sure they'll provide you with the highest quality care for you and your vehicle. We are also proud to be a Better Business Bureau Accredited Business with an A+ rating. #1 FACTORY CERTIFIED NISSAN DEALER IN NEW ENGLAND! Certified. Nissan Certified Pre-Owned Details: * Roadside Assistance * Vehicle History * Limited Warranty: 84 Month/100,000 Mile (whichever comes first) from original in-service date * Includes Car Rental and Trip Interruption Reimbursement * Warranty Deductible: $50 * Transferable Warranty (between private parties) * 167 Point Inspection Clean CARFAX. CARFAX One-Owner. Priced below KBB Fair Purchase Price! CLEAN CARFAX/NO ACCIDENTS REPORTED, ONE OWNER, REMAINDER OF FACTORY WARRANTY, BLUETOOTH/HANDS FREE/CELL PHONE, NISSAN FACTORY CERTIFIED, Versa 1.6 SV CERTIFIED, 4D Sedan, 1.6L I4 DOHC 16V, CVT with Xtronic, FWD, Silver, Charcoal w/Upgraded Cloth Seat Trim. Our Sales, Service and Parts Departments work closely together to provide you with the most enjoyable, least stressful car-buying experience possible. The average tenure for our sales people, managers, technicians and all other employees is over 20 years. Most of them have been career employees of Manchester City Nissan - and with that much experience, you can be sure they'll provide you with the highest quality care for you and your vehicle. We are also proud to be a Better Business Bureau Accredited Business with an A+ rating. #1 FACTORY CERTIFIED NISSAN DEALER IN NEW ENGLAND! Certified. Nissan Certified Pre-Owned Details: * Vehicle History * Warranty Deductible: $50 * Roadside Assistance * 167 Point Inspection * Transferable Warranty (between private parties) * Includes Car Rental and Trip Interruption Reimbursement * Limited Warranty: 84 Month/100,000 Mile (whichever comes first) from original in-service date BLUETOOTH/HANDS FREE/CELL PHONE, NISSAN FACTORY CERTIFIED, STEERING WHEEL CONTROLS, Sentra SV, 4D Sedan, 1.8L 4-Cylinder DOHC 16V, CVT with Xtronic, FWD, White, Charcoal w/Cloth Seat Trim, ABS brakes, Electronic Stability Control, Illuminated entry, Low tire pressure warning, Remote keyless entry, Traction control. Our Sales, Service and Parts Departments work closely together to provide you with the most enjoyable, least stressful car-buying experience possible. The average tenure for our sales people, managers, technicians and all other employees is over 20 years. Most of them have been career employees of Manchester City Nissan - and with that much experience, you can be sure they'll provide you with the highest quality care for you and your vehicle. We are also proud to be a Better Business Bureau Accredited Business with an A+ rating. #1 FACTORY CERTIFIED NISSAN DEALER IN NEW ENGLAND! Certified. Nissan Certified Pre-Owned Details: * Warranty Deductible: $50 * Vehicle History * Roadside Assistance * 167 Point Inspection * Transferable Warranty (between private parties) * Includes Car Rental and Trip Interruption Reimbursement * Limited Warranty: 84 Month/100,000 Mile (whichever comes first) from original in-service date Clean CARFAX. CLEAN CARFAX/NO ACCIDENTS REPORTED, BLUETOOTH/HANDS FREE/CELL PHONE, NISSAN FACTORY CERTIFIED, LOCAL TRADE, Sentra FE+ S CERTIFIED, 4D Sedan, 1.8L 4-Cylinder DOHC 16V, CVT with Xtronic, FWD, Brilliant Silver, Marble Gray w/Cloth Seat Trim. Odometer is 24435 miles below market average! Our Sales, Service and Parts Departments work closely together to provide you with the most enjoyable, least stressful car-buying experience possible. The average tenure for our sales people, managers, technicians and all other employees is over 20 years. Most of them have been career employees of Manchester City Nissan - and with that much experience, you can be sure they'll provide you with the highest quality care for you and your vehicle. We are also proud to be a Better Business Bureau Accredited Business with an A+ rating. #1 FACTORY CERTIFIED NISSAN DEALER IN NEW ENGLAND! Certified. Nissan Certified Pre-Owned Details: * Limited Warranty: 84 Month/100,000 Mile (whichever comes first) from original in-service date * Vehicle History * Includes Car Rental and Trip Interruption Reimbursement * Transferable Warranty (between private parties) * 167 Point Inspection * Roadside Assistance * Warranty Deductible: $50 Clean CARFAX. CARFAX One-Owner. Priced below KBB Fair Purchase Price! CLEAN CARFAX/NO ACCIDENTS REPORTED, ONE OWNER, BLUETOOTH/HANDS FREE/CELL PHONE, NISSAN FACTORY CERTIFIED, Versa 1.6 SV CERTIFIED, 4D Sedan, 1.6L I4 DOHC 16V, CVT with Xtronic, FWD, Cayenne Red, Charcoal w/Cloth Seat Trim. Our Sales, Service and Parts Departments work closely together to provide you with the most enjoyable, least stressful car-buying experience possible. The average tenure for our sales people, managers, technicians and all other employees is over 20 years. Most of them have been career employees of Manchester City Nissan - and with that much experience, you can be sure they'll provide you with the highest quality care for you and your vehicle. We are also proud to be a Better Business Bureau Accredited Business with an A+ rating. Priced below KBB Fair Purchase Price! CLEAN CARFAX/NO ACCIDENTS REPORTED, BLUETOOTH/HANDS FREE/CELL PHONE, SUNROOF/MOONROOF, LOCAL TRADE, Jetta 2.5L SE, 4D Sedan, 2.5L 5-Cylinder DOHC, 5-Speed Manual, FWD, Candy White, Cornsilk Beige w/Corn Silk Beige V-Tex Leatherette Seat Trim. LARGEST NEW AND USED INVENTORY IN CONNECTICUT! CARFAX One-Owner. Priced below KBB Fair Purchase Price! CLEAN CARFAX/NO ACCIDENTS REPORTED, ONE OWNER, BLUETOOTH/HANDS FREE/CELL PHONE, SUNROOF/MOONROOF, Focus SE, 4D Hatchback, 2.0L 4-Cylinder DGI DOHC, FWD, Red, Charcoal Black w/Cloth Sport Seats. Reviews: * Delivering an outstanding mix of style and substance, the 2013 Ford Focus enriches its fundamentally solid and efficient basic package with the availability of class-leading technologies, including MyFord Touch, Active Park Assist and a PowerShift dual-clutch 6-speed automatic transmission - as well as offering a pure electric alternative. Source: KBB.com * Nimble handling; refined and quiet ride; stylish and well-made interior; lively engine; abundant list of upscale and high-tech options. Source: Edmunds Awards: * Car and Driver 10 Best Cars * 2013 IIHS Top Safety Pick * 2013 KBB.com 10 Coolest New Cars Under $18,000 * 2013 KBB.com Brand Image Awards Car and Driver, January 2017. LARGEST NEW AND USED INVENTORY IN CONNECTICUT! Clean CARFAX. CLEAN CARFAX/NO ACCIDENTS REPORTED, LEATHER, SUNROOF/MOONROOF, Outback 3.0R L.L. Bean Edition, 4D Wagon, 3.0L H6 DOHC SMPI, 5-Speed Automatic with Overdrive, AWD, Deep Bronze Metallic, Ivory w/Leather-Trimmed Upholstery. Reviews: * If you need the sure-footed traction of all-wheel drive but shudder at the thought of driving a big, fuel-inefficient SUV, the 2008 Subaru Outback is the answer. All-wheel-drive confidence and new safety features add up to a prudent and pleasurable road experience, heightened by a comfortable highway ride. Source: KBB.com Awards: * 2008 KBB.com Best 10 Family Vehicles LARGEST NEW AND USED INVENTORY IN CONNECTICUT! Clean CARFAX. Priced below KBB Fair Purchase Price! CLEAN CARFAX/NO ACCIDENTS REPORTED, REMAINDER OF FACTORY WARRANTY, Accent SE, 4D Sedan, 1.6L I4 DGI DOHC 16V, 6-Speed Automatic with Shiftronic, FWD, Tan, Beige w/Cloth Seat Trim. Reviews: * Strong acceleration; comfortable and quiet ride; spacious cabin has an upscale ambience; long warranty. Source: Edmunds Awards: * JD Power Initial Quality Study (IQS) * 2016 KBB.com 5-Year Cost to Own Awards LARGEST NEW AND USED INVENTORY IN CONNECTICUT! #1 FACTORY CERTIFIED NISSAN DEALER IN NEW ENGLAND! Clean CARFAX. CLEAN CARFAX/NO ACCIDENTS REPORTED, BLUETOOTH/HANDS FREE/CELL PHONE, LOCAL TRADE, Sonata GLS, 4D Sedan, 2.4L 4-Cylinder DGI DOHC, 6-Speed Automatic with Shiftronic, FWD, Harbor Gray Metallic, Gray w/Premium Cloth Seating Surfaces, ABS brakes, Active ECO System, Anti-Lock Braking System (ABS), Bluetooth® Hands-Free Phone System, Electronic Stability Control, Emergency communication system, Heated door mirrors, Heated Mirrors, Illuminated entry, Low tire pressure warning, Remote keyless entry, Remote Keyless Entry & Alarm, Tire Pressure Monitoring System, Traction control, Traction Control System. Awards: * 2013 KBB.com 5-Year Cost to Own Awards Our Sales, Service and Parts Departments work closely together to provide you with the most enjoyable, least stressful car-buying experience possible. The average tenure for our sales people, managers, technicians and all other employees is over 20 years. Most of them have been career employees of Manchester City Nissan - and with that much experience, you can be sure they'll provide you with the highest quality care for you and your vehicle. We are also proud to be a Better Business Bureau Accredited Business with an A+ rating. Clean CARFAX. CARFAX One-Owner. Priced below KBB Fair Purchase Price! CLEAN CARFAX/NO ACCIDENTS REPORTED, ONE OWNER, Elantra SE, 4D Sedan, 1.8L 4-Cylinder DOHC 16V Dual CVVT, 6-Speed Automatic with Shiftronic, FWD, Lakeside Blue, Gray w/Premium Cloth Seat Trim. Awards: * 2016 KBB.com Best Buy Awards Finalist * 2016 KBB.com 5-Year Cost to Own Awards LARGEST NEW AND USED INVENTORY IN CONNECTICUT! Clean CARFAX. CLEAN CARFAX/NO ACCIDENTS REPORTED, REMAINDER OF FACTORY WARRANTY, BACK UP CAMERA, BLUETOOTH/HANDS FREE/CELL PHONE, Corolla S, 4D Sedan, 1.8L I4 DOHC Dual VVT-i, CVT, FWD, Blue, Black w/Softex Synthetic Leather Seat Trim. Awards: * 2014 KBB.com 10 Tech-Savviest Cars Under $20,000 * 2014 KBB.com 5-Year Cost to Own Awards * 2014 KBB.com Best Resale Value Awards LARGEST NEW AND USED INVENTORY IN CONNECTICUT! Clean CARFAX. CARFAX One-Owner. Priced below KBB Fair Purchase Price! CLEAN CARFAX/NO ACCIDENTS REPORTED, ONE OWNER, BLUETOOTH/HANDS FREE/CELL PHONE, Fiesta SE, 4D Sedan, 1.6L I4 Ti-VCT, 6-Speed Automatic, FWD, Black, Charcoal Black w/Cloth Front Bucket Seats. Reviews: * Sporty handling when going around turns; well-appointed interior with advanced technology options; peppy and fuel-efficient EcoBoost engine; ST model's zesty performance. Source: Edmunds Awards: * 2017 KBB.com 10 Most Awarded Brands * 2017 KBB.com Brand Image Awards LARGEST NEW AND USED INVENTORY IN CONNECTICUT! #1 FACTORY CERTIFIED NISSAN DEALER IN NEW ENGLAND! Clean CARFAX. CARFAX One-Owner. Priced below KBB Fair Purchase Price! CLEAN CARFAX/NO ACCIDENTS REPORTED, ONE OWNER, REMAINDER OF FACTORY WARRANTY, BLUETOOTH/HANDS FREE/CELL PHONE, Elantra SE, 4D Sedan, 2.0L 4-Cylinder DOHC 16V, 6-Speed, FWD, Galactic Gray, ABS brakes, Electronic Stability Control, Illuminated entry, Low tire pressure warning, Remote keyless entry, Traction control. Awards: * 2017 KBB.com 10 Most Awarded Brands Our Sales, Service and Parts Departments work closely together to provide you with the most enjoyable, least stressful car-buying experience possible. The average tenure for our sales people, managers, technicians and all other employees is over 20 years. Most of them have been career employees of Manchester City Nissan - and with that much experience, you can be sure they'll provide you with the highest quality care for you and your vehicle. We are also proud to be a Better Business Bureau Accredited Business with an A+ rating. Why Buy a Pre-Owned Vehicle from Manchester City Nissan? 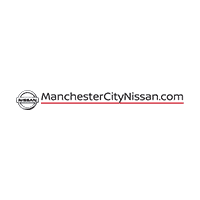 Manchester City Nissan is proud to offer quality used cars from a variety of brands. We offer plenty of financing options, so you can find a payment that works with your budget. Our team works hard to secure the best rates and terms available, ensuring you get a car that you both love and can afford. Want to make your vehicle purchase even more affordable? Trade in your current vehicle!